Fearless Freddie" Quadros was just 11 years old when he made his debut in the Boardwalk's Water Carnival. Freddie was best known for his high dives and swinging from a trapeze with co-star Shirley Wightman. Local kids with a knack for swimming and diving were known as "AquaBrats," performing in the Boardwalk's Plunge shows from 1928 - 1945. 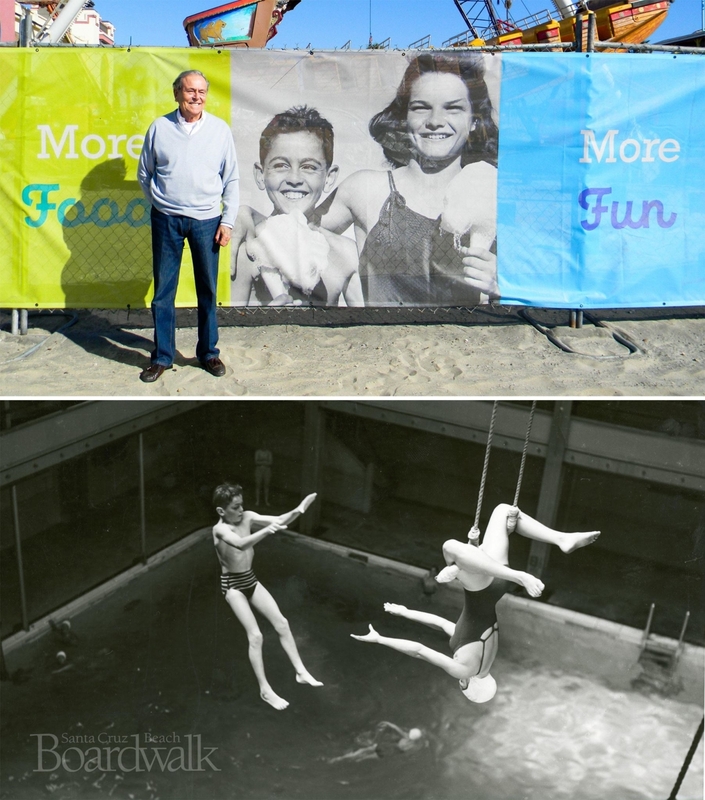 Here's a recent photo of Fred next to a 1941 archival photo (now part of the signage around our construction zone.) And another photo from the 1940s showing Fearless Freddie performing in the Plunge.